We reserve the right to make corrections on any item. We will not process any orders where an error has occurred. 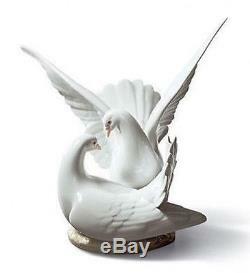 The item "LLADRO Porcelain LOVE NEST (01006291)" is in sale since Friday, January 30, 2015. This item is in the category "Pottery, Porcelain & Glass\Porcelain/China\Lladro/ Nao\Figures".